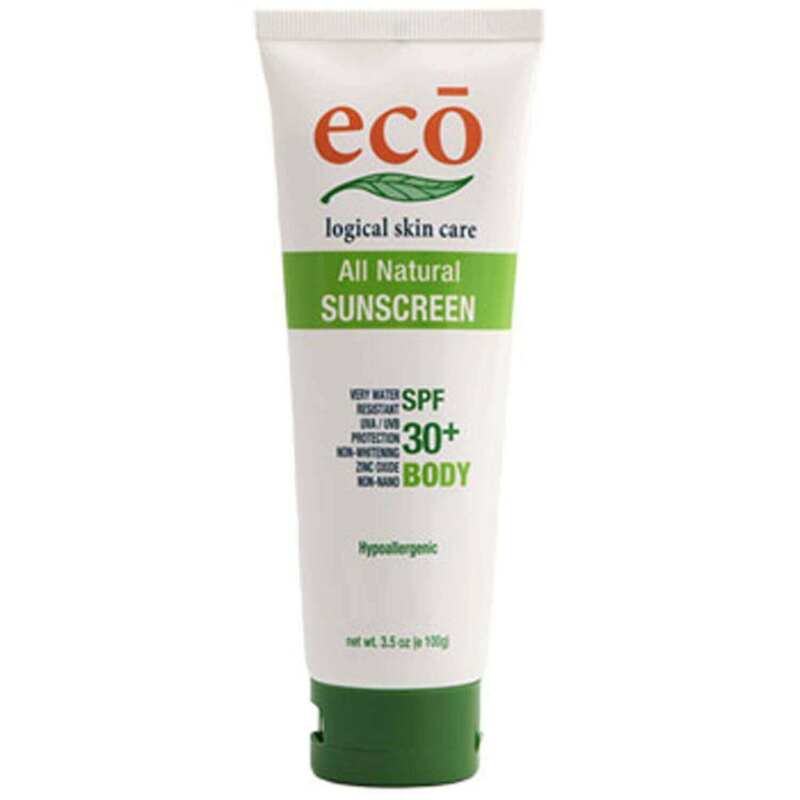 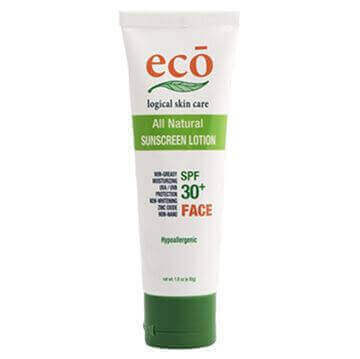 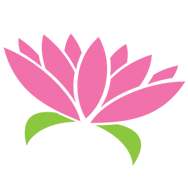 Eco logical All Natural Body Sunscreen SPF30+ is a non-whitening lotion which contains zinc oxide to naturally protect you and your family from the sun. 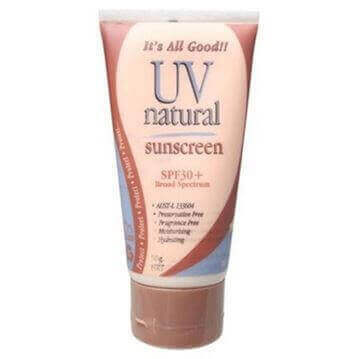 It provides broad spectrum UVA/UVB protection with 3 hours water resistance with a non-greasy texture. 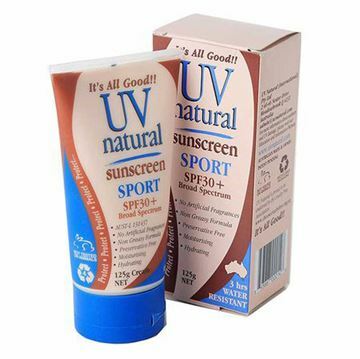 Zinc oxide reflects UVA/UVB rays unlike chemical actives which absorb them. 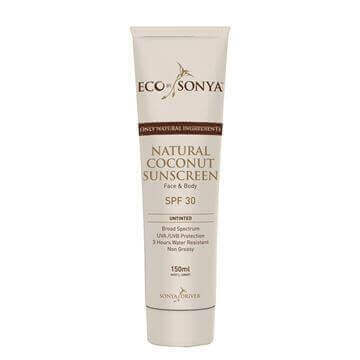 The nourishing benefits of ingredients include antioxidant green tea and grape seeds with anti-aging ingredients like shea butter and Jojoba. The gentle formula is soothing, calming and protective to skin.